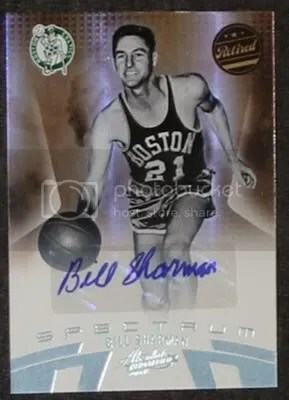 Congrats to Offy on being the lucky winner of the Bill Sharman 2010-2011 Absolute Memorabilia Spectrum Auto #’ed/25. Once Offy sends me their mailing address I will ship this card out for FREE!! !